As the gentle stretch from the weight of the inverted uterus lengthened the cervical ligaments, the ligaments unwound (hypothetically) and space was made and the head came quickly onto the cervix. The water released right at the workshop! This had never happened before! But then, how many models come four days into contracting at 40 weeks pregnant? She went quickly to the bathroom and my own assessment assured me the waters were clear. Off she went to her midwife! Contractions and dilation followed but not quickly. The next afternoon Jennifer Walker and I were well into our second workshop for Brazilian providers when the midwife’s colleague asked me for more help. 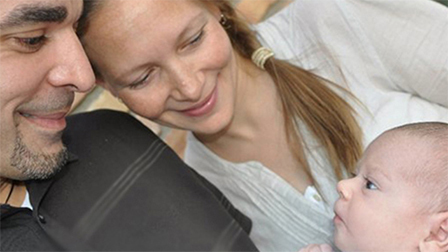 The cervix remained at 9 cm dilated and baby remained at -1 station. Minus one? That’s unusual. We’ve described in earlier Provider emails the strategies and protocols of -3 or inlet, of a stall at -2, the misengagement, of 0 Station for either transverse arrest or asynclitism, or +2 for the locked sacrum and even the small outlet… but nothing for -1 Station. I just don’t hear of this particularity coming up. So what is it? Is the midwife’s admittedly subjective assessment measuring a 0 Station higher than the spines… after all I say -1 to +1, giving a centimeter either side of 0 Station just for such subjectivity? Or is the baby posterior and not flexed enough for 0 Station? But baby was palpated at Left Occiput Anterior. Is the midwife measuring low but baby is -2? Not likely if LOA. Maybe the baby is at -1 and the sacrum is not mobile. I haven’t heard of that, but each pelvis is unique after all. It’s just that -1 is typically the spacious area of the birth canal. I began with the protocol with -2 followed by the protocol for +2. Invert with Shake the Apples for the baby won’t come out without a jiggle solution but I stopped myself. This is an intellectual approach, a linear approach to an individual situation. Let’s clear assumptions and expectations. What does this woman need? I instructed to cup her sitz bone. Opposite the sore side if there was a sore side, if I had to pick. I just said, jiggle the tuberosity. Pads of the fingertips were on the edge of the sitz bone and the bone was gently jiggled. This is not a vigorous activity but just enough to put the bone in motion – typically, a gentle maneuver in a pregnant body. However, if the sacrum is locked beyond the motion usually activated by Sidelying Release, the jiggle may not be enough. I perceived in this case it was. No need for sacrotuberous ligament release (see blog). 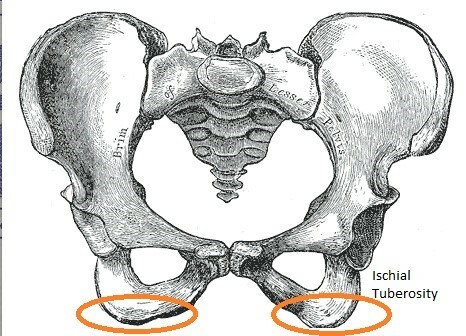 3-4 minutes was the length of time to jiggle the ischial tuberosity. 30 minutes later, her first baby was born. The mother suddenly loved Spinning Babies! I was quite relieved to hear the news, as you might imagine! What was different? The ischium was set in movement from the bottom with a jiggle rather than a stretch. The passive stretch technique of Sidelying Release is usually enough, but rotation wasn’t the issue this time. The level of the pelvis is accessed through the fascia by jiggling since the local anatomy had already been addressed. Jiggle, stretch (though the weight of the uterus, leg, or other body part connected to the anatomy), then jiggle remotely. Balance top to bottom, side to side, and front to back. Balance is not only local but global.